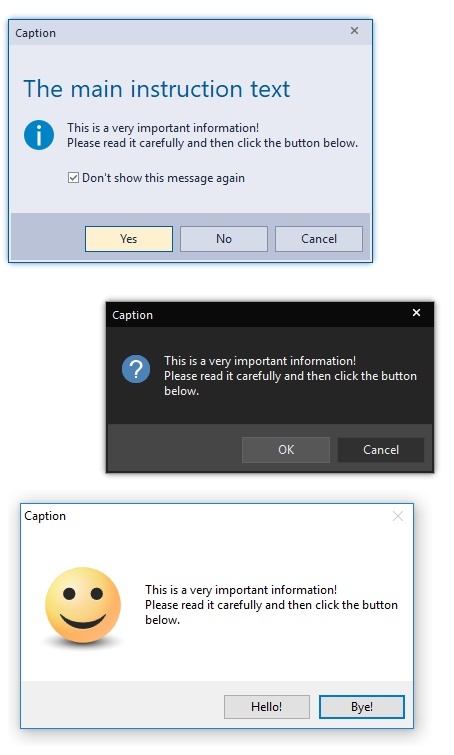 Hello everyone, have you ever been curious about the message box that pops up occasionally when you are doing something such as warning or alert messages. These message boxes also contains different command buttons such as "Yes", "No", "OK", "Ignore", and etc. To be more understandable for you, here are the example of a simple message box. So to create your own message box just simply follow this steps. 1. Go to start menu > Program Files > Accessories > Notepad or for advance users, just simply run notepad from the start menu. NOTE 1: I strongly suggest you to re - type the code above instead of copy then paste. NOTE: The icon of your work should be like this after you saved it. 4. Run your work to see if it works. If not, then you should check your coding by following these steps: Right Click the file > Edit > The notepad should pop up then you would be able to check and edit your coding.